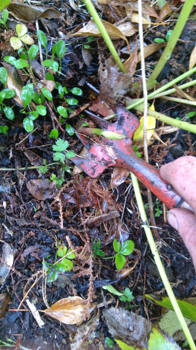 I have mixed feelings on removing leaves from Hellebores. They must be the only perennial which looks exceptionally striking when all of the leaves are pruned away. This technique displays the wonderful flowers to their full potential. 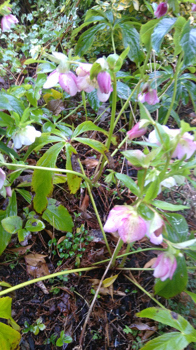 In addition to that, blackspot which Hellebores are particularly succeptable to is cleared from the onlookers eye, improving the all-round structure and beauty of the plants. On the other hand, any leaves that are left once the blackspot is removed, providing there is a good all round balance of leaf structure left, looks equally impressive. This week, I was doing this rewarding seasonal task, pruning away the undesirable leaves, but leaving each plant with good quality structure to enhance the appearance of the flowers. 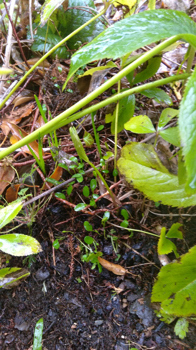 If you are fortunate enough, and you should be, at the base of Helleborus orientalis, you will spot a myriad of seedlings, all potentially plants in the making. 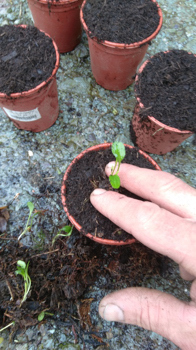 Carefully handling the seed leaves, (cotyledons) plant them into small pots of seed compost, or as an alternative I use a peat free compost. After watering, using a can with a small rose to disperse a fine spread of water, place the pots into a cold frame. 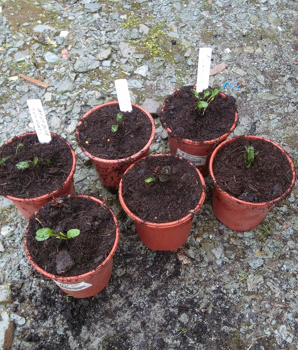 Seedlings and plants will need to go through several potting on stages over two seasons from 1-litre up to 3-litre pots, overwintering in the cold frame. 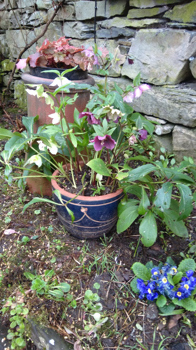 The final picture of the Hellebore in the blue glazed pot is one of several Hellebores propagated using this method. 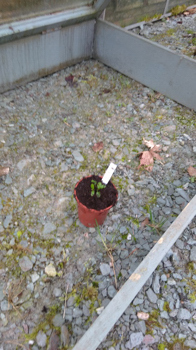 This plant is three years on from a garden seedling and in the second year of flowering.